Erik ‘ESIK’ Melland is the consummate artist. A career that has encompassed singing, songwriting, record production, photography, video production and graphic design found its way into expression through movement. Resulting from his own journey with injury, his experience as a massage therapist and now a deeper understanding as a fitness coach, he brings training designed to heal from the inside out. But doing so while tapping into the warrior spirit he sees in everyone, as poetically expressed in another creation of his, Viking Ninja. 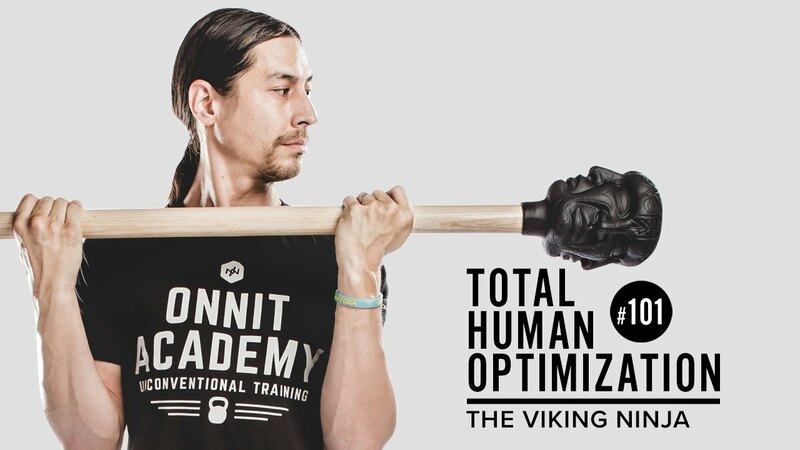 Erik’s combined artistry and insight has been integral to his role as the Onnit Steel Mace Master Coach, the proliferation of the steel mace in the fitness lexicon and growth of the dynamic community the continues to expand around Onnit. Live through your warrior spirit and honor your dedication. A creed I live by to challenge myself everyday for as long as I live. T+ makes me extremely ready to go for any type of training I have coming up that day. And the Strawberry Lemonade is Tasty!! ShroomTech Sport keeps my breathing really efficient. More than it normally is, especially when holding excessive loads during fitness training. Why Alpha Brain Instant Peach? Because it is so dang good and so dang good for you! Brain recognize gain.